Running Crooked. : St.Clair River Run 10k. 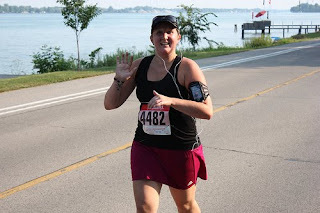 I ran the St.Clair River Run 10k this weekend. It was a great run, I beat my personal record by 30 seconds :) and I felt decent about it, even though it was so so so hot! 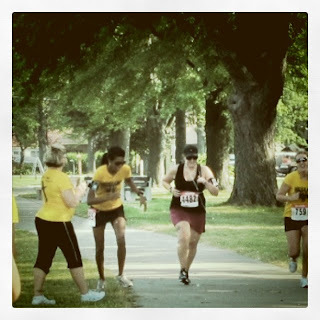 This is where the running crooked part becomes a real struggle. The humidity was at 80% and it was 30 degrees! Which for someone with restricted lungs, makes it very very hard to breath! My legs felt pretty strong and I felt good with the run but it was very hard to breath. I had to walk much more than I had wanted but it was simply because I had to catch my breath!